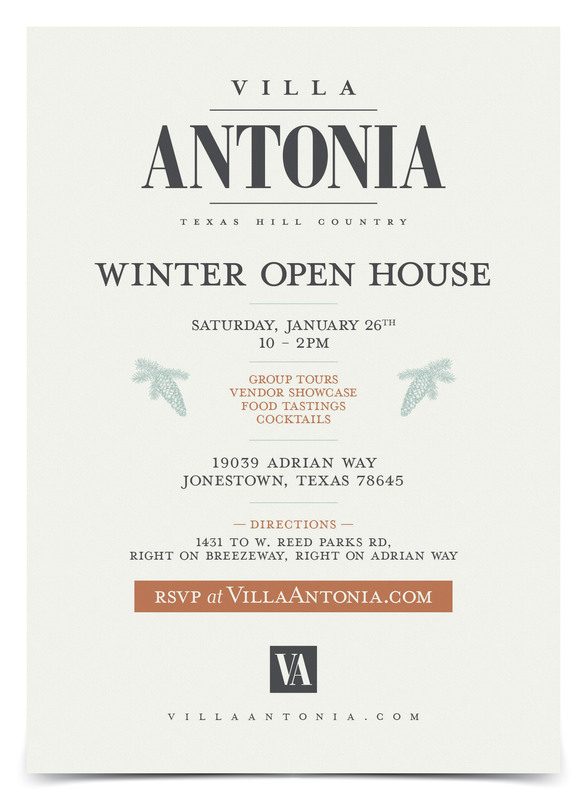 Please join us for our Winter Open House at Villa Antonia on January 26th, 2019 from 10 am to 2 pm. Join us for a relaxing afternoon surrounded by the gorgeous Hill Country views. Tour the Villa and gardens while meeting forty of Austin’s finest wedding and event vendors. Food tastings from the caterers and cocktails available for your enjoyment! Group tours start every 30 minutes. Register for the Winter Open House here!